This is a 36" portable barrel fan that moves up to 9,200 CFM of air. 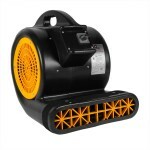 It is a great fan for moving large amounts of air in a straight line. 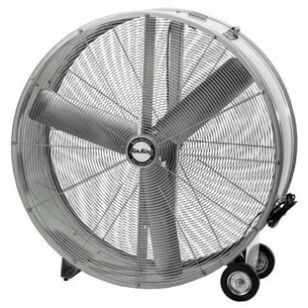 If you're looking for a fan that can rotate to blow air up into the air, we have our 24 inch air cooling drum fan available. Both of these models move lots of volumes of air to keep workers cool and environments comfortable. All of our barrel & drum fans cool large areas in no time. If you're in a sweltering climate, these fans are absolutely perfect for any indoor or outdoor facility that cannot use air conditioning. When you need a portable barrel fan, look no further than this unit. It only pulls 6.5 amps on its highest setting. Great for use in food processing facilities, warehouses, automotive repair shops, and manufacturing shops. 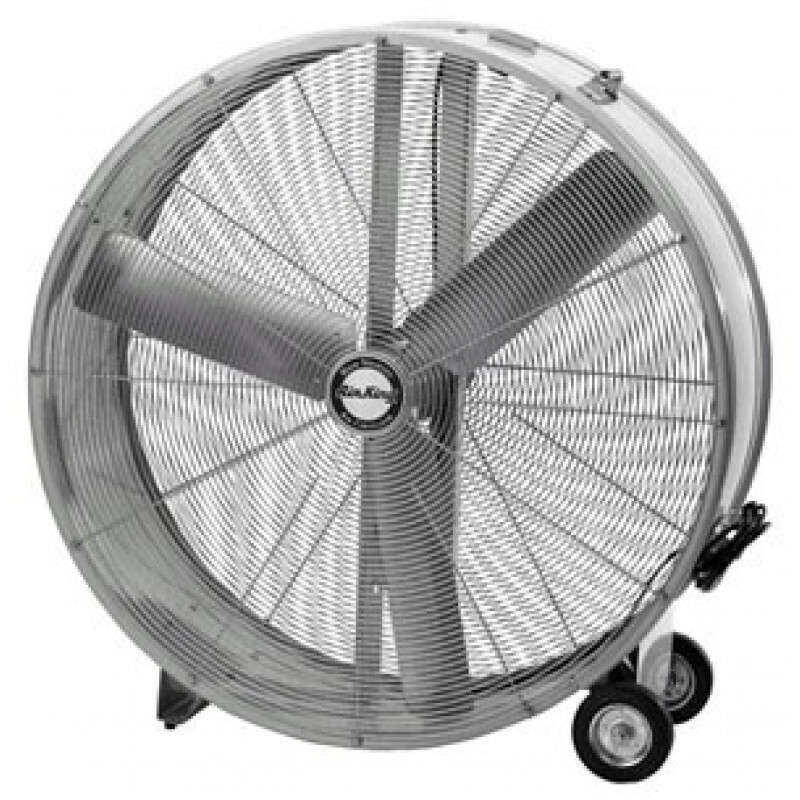 If you're looking for a slightly more economical model, we have this exact same fan available as a 36" direct drive drum fan, instead of the typical belt drive that this unit is. Great for facilities without air conditioning because of the high air movement (9,200 CFM). Pulls only 6.5 amps, so 2 fans could safely be run off the same 15 amp standard circuit. Portable barrel fan is located on a set of wheels to easily transport from place to place. This is a review for the 36 inch Portable Barrel Fan.